This has been a busy month for the Navi Mumbai Airport. Significantly, the project has achieved financial closure, with Yes Bank being the Lead Manager for Phases I and II. Completion of financial closure on July 7, 2018 is considered as the appointed date in terms of the concession agreement signed with CIDCO. The new airport would be one of the biggest such investments in the country and is likely to see an investment of about Rs 16,000 crore. Also, they would be undertaking runway development simultaneously with the clearing of the Ulwe hill. All official partners still seem confident of meeting December 2019 deadline for Phase I for at least the physical infrastructure. Quite likely that having all the legalities, certifications etc in place before the first commercial flight can take place may overshoot the deadline. "The runway on the south side can be developed as 260 hectares of land has been levelled at 5.5 meter. The remaining 2.5 meters levelling for 8 meters as under the airport development plan will be done by the strategic partner. The operator will do the next level land filling of 2.5 meter for developing the runways, taxiways, terminal building for the airport complex. The villages along the runway will be vacated soon as most have shifted." The airport will be at almost double the height of the 4.5m flood line. The first phase of Rs 5,514 crore of the Rs 16,000 crore airport will be commissioned (scheduled December 2019 end) with the south runway of 3.7 km and partial development of the H shaped terminal. Suraj wrote: DEL airport has grown into a monster in terms of passenger traffic really quickly. 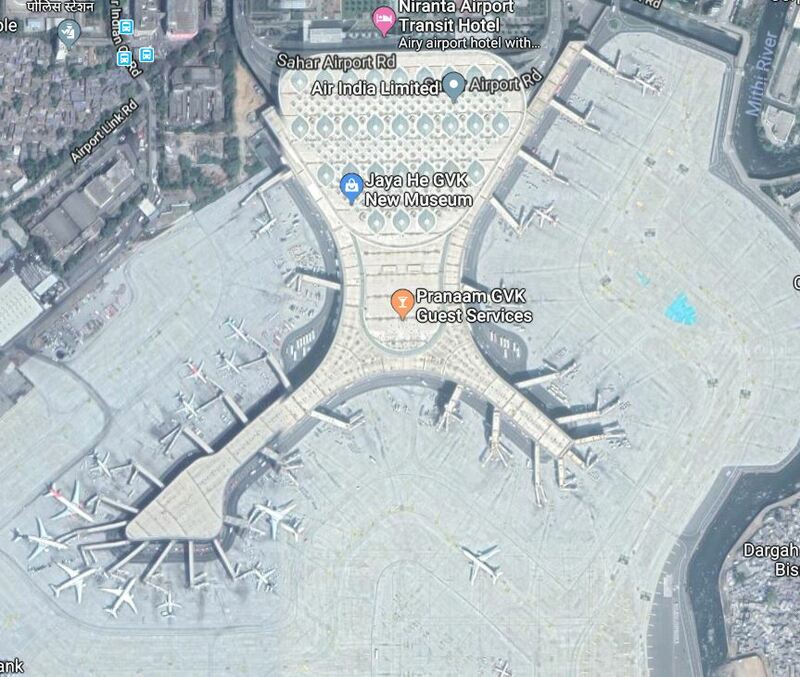 When T3 was built in 2010, they were a medium size airport in global terms, with 25M passengers a year, or thereabouts. Last fiscal year, it was 66M and this year it will probably be 75M, which would probably put it between London Heathrow and Hong Kong, ranking globally #6-8 . One more year and they'll be 80 million+, putting them in the rarefied league with Los Angeles and Tokyo Haneda close to or within top 5. I hope they build T4 ASAP. The airport at Amritsar and Chandigarh are under utilized owing to the lobbying of transporters (to-from Delhi airport to Punjab) and hoteliers in Delhi. I travel to India every year and I have no need to get into Delhi but tickets are twice the amount to Chandigarh/Amritsar than to Delhi. At least 35% of the traffic at Delhi goes to Punjab that causes massive rush on highways, etc too. This group is the one usually responsible for getting the most flights into Delhi and making sure no other airport comes up. True..Kerala is going to get its 4th international Airport in Kannur this year. It still doesnt damage the revenue of both Kochi and Tvm international airports.Each one is growing fast. Its surprising that a state like Punjab with large NRI population is not yet given a good international airport. Having one central airport is old planning model relic. Some interesting updates during Farnborough Air Show as far as Civil sector is concerned. - Boeing has postponed announcement of its NMA (aka B797) program by 6-18 months. This is biggest disappointment as entire industry has been hoping for this. Thought the question is not if but when. - Airbus A321XLR has gained new interest as possible opportunist for NMA market. Lets see how Airbus plays its cards. They could theoretically spoil the business case for Boeing NMA program and re-shape the future for that particular segment. But real life is always more interesting than such simplistic scenarios. jpremnath wrote: True..Kerala is going to get its 4th international Airport in Kannur this year. It still doesnt damage the revenue of both Kochi and Tvm international airports.Each one is growing fast. Its surprising that a state like Punjab with large NRI population is not yet given a good international airport. Having one central airport is old planning model relic. Maybe I'm clueless about the dynamics involved, but what specific O/D international route ties to Punjab ? Kerala circumstances are very specific - they have enough demand to independently sustain strong O/D traffic to a bunch of Persian Gulf locations. This has been the case for decades, and the distance and level of traffic is enough to run several mid-range planeloads a day. Can, say Amritsar sustain so much traffic with perhaps London or Toronto ? The much higher distance involved to western Europe or North American means that the traffic must be sufficient and that they must be capable of absorbing the higher per-seat cost on their own, since they don't have the proxy of aggregate traffic demand into New Delhi to help depress the air ticket price more. It's not clear to me that Punjab has the ability to do this. VFR traffic is usually very price sensitive and seasonal, and we are talking about much longer flights involving much higher cost/seat. In comparison, Cochin to Dubai is the same distance as Cochin to New Delhi. Emirates flies 777s into Cochin and gets enough traffic to fill them, as do Etihad and others. there are plenty of smaller planes like 787 and A350 built to serve long lanes but medium capacity p2p. so amritsar/chandigarh may be suitable for such flights to london / toronto / nyc....they should easily be able to fly nonstop. ofcourse punj-haryana does not have the high number of indian citizen NRIs that kerala has in gulf. kerala-gulf is a unique case of high numbers, work visas and 4 hour range. My post explicitly focused on the traffic . The plane is not the problem here . The ability of independent O/D traffic to sustain the route is . Nothing can change the fact that it’s just cheaper to pack planes for short/medium haul to Gulf from Kerala than to pack medium/long haul from Amritsar to UK or North America. I would be interested in seeing data to support the thesis that Amritsar is underserved , as opposed to simply being incapable of independently supporting O/D traffic with the primary locations of Punjabi diaspora . The Kerala diaspora clearly can, and the commercial data shows it; they are concentrated in a small area much closer to India which makes it feasible for AI and Emirates to both run widebodies out of Cochin profitably . Also short haul can fill the plane any day of the week by small discount; the long haul will be mostly on weekends. Yes, what I am trying to say is that Amritsar is not being underserved by artificial barriers. Our air travel market is sufficiently mature that at least standard price and volume discovery is not a problem anymore. We're a sufficiently large market - heck even Cochin's 10-11m pax/year is a lot more than Lahoor and Kraaachi combined (DEL/BOM individually have multiple times more traffic than all of TSP air traffic combined) - with enough business opportunity that no one's going to turn away from one that's sitting on a platter. Rather, Amritsar-UK/US/Canada is an expensive proposition per seat due to geographical distance, combined with much more sparsely dispersed diaspora, especially in North America. That means a single city pairing with O/D is simply not sustainable, except perhaps LHR-Amritsar and even that would be primarily seasonal . So Punjab is not being underserved, in my opinion - the direct international traffic at the moment is approximately what the market can support. The comparison with Kerala diaspora traffic does not work because of multiple factors that enable the latter - specifically the availability of heavily concentrated point-to-point traffic year round on a short-medium haul route . The only problem this traffic originally had was having to route through BOM/MAA in the past, but now Kerala has multiple international airports of its own to handle it all, and no one complains anymore - people in extended family who are in Gelf fly back and forth multiple times a year easily. Perhaps not Amritsar. But Jaipur certainly can take a big share out of the Del-Agra-Jaipur north india tourist circuit. Jaipur traffic is primarily the Golden Triangle (Delhi-Jaipur-Agra) tourism traffic, who mostly all fly to DEL directly and connect from there. Jaipur has nothing going for it, that makes a direct flight there more viable. I was there just last winter with SHQ and most phoren tourists were doing the triangle trip having arrived in DEL and spent some time there; we were seemingly the only ones just visiting Jaipur. Suraj, what you said about route length and plane sizes to cover that might be true ...If demand is there, airliners will push for service and only thing that matters then will be if Amritsar airport has sufficient runway length and no rules preventing international flights. I guess Chandigarh airport with an expanded runway will be an altogether different proposition. It will cover Punjab, Uttarakhand and Haryana and maybe Himachal also. Right now the runway is only 2700m long as I understand. Prasad wrote: Perhaps not Amritsar. But Jaipur certainly can take a big share out of the Del-Agra-Jaipur north india tourist circuit. Tourist don't pay the bills, businesses do. Lots of caveats: certainly there exist tourism centric destinations that have the scale to support a range of tourists (budget, mid and high end spenders), and often air travel is "subsidized" in various ways by the governments (airline/airport subsidies; tax breaks) to lure the tourist dollar - Thailand is a great example, but India is not in the same league yet. Tourism also tends to be cyclical and business often is counter-cyclical to tourism which makes a destination that supports both much more lucrative than one that supports only tourism. Even with tourism - both inbound and outbound - and some labour flow, Jaipur will be able to support maybe 4-5 regional intl destinations on low-cost carriers. We are talking about 5-6 narrowbodies per day to the Gulf and SE Asia here which is backed by actual flights, and will grow at 10-15% per year organically. Jaipur as a reliever for Delhi? Maybe for cost conscious Gulf labour who hail from Raj, northern MP and western UP. A great example is Trichy which has 11 regional (international) flights per day mostly on LCCs. But tourists will not drive this growth unless as a country we step up the tourism industry a notch. Jpremnath: my view is that if Amritsar could support more frequencies to UK, it would already be there. As it stands, ATQ can only support 2x a week to Birmingham, plus tag on connections for LHR-DEL on Air India . There are no other frequencies to locations of major Punjabi diaspora . If there was more demand what stops more flights ? I see no reason blocking it. Cochin for comparison does 2x daily 777s by emirates plus flights daily by Air India , Jet and Indigo - all to Dubai , over 1000 seats a day just to one place. There’s more to Abu Dhabi, Sharjah, Muscat, Sodhi Arrey-bhaiyya etc. COK is the 4th largest airport in India counting just international traffic, after DEL, BOM and MAA . It does more thsn Bangalore, Hyderabad and Kolkata . In fact all three Kerala airports rank in the top 10 in India for only international traffic, a reflection of the amount of traffic to the Gulf . jaipur can be the starting point of many raj road tours like udaipur jodhpur jaisalmer circuit. for domestic tourists there is no reason to do this via delhi. for foreign tourists wanting to cram it all into one pkg then sure delhi is better entry point. Jaipur is already getting lots of traffic - close to 5M a year, up a colossal 26 percent last year, more traffic than Lahore . It was bursting at its seams when we flew thru there last December, lots of flights and very little waiting/seating space to keep up . All our major airports are seeing tremendous growth, with seemingly little concept of high base . DEL grew 14% to 66 million passengers last year - by a long distance the fastest growing mega size airport, with pretty much all others growing low to mid single digit percentage growth . Traffic in Q1 this year suggests DEL will manage to grow 10-14% this year too, which would put them at 72-75 million pax, same league as London Heathrow and catching up to Tokyo Haneda and Los Angeles . It seemed unbelievable that DEL would overtake LHR soon but they might do so this year itself . also shows the steadily losing grip of 2AC long distance trains for the middle class. time is money. and with reservations needed months in advance their is no option but flight or bus. Singha wrote: also shows the steadily losing grip of 2AC long distance trains for the middle class. time is money. and with reservations needed months in advance their is no option but flight or bus. So many smaller airports have surprisingly large passenger traffic volumes. For your interest, GAU has 4.7 million, almost as much as tourist hub Jaipur (4.75 million). Both will be easily >5m this year. These numbers are ridiculous. 17.7% growth in aggregate traffic across all airports in the leanest time of the year for travel. That doesn't even tell the full story - international traffic grew a 'mere' 8%, while domestic traffic grew 20% . Passenger traffic is only part of the picture. It would be interesting to see what the total number of operations there are at these airports. That is the number of arrivals and departures. It would also be if interest to see how much cargo by tonne is handled. All the data is under http://www.aai.aero . The first couple of annexures for each month are movements and the remainder are passenger traffic data . Please look it up yourself - it is very easy to find . I looked for what I’m more interested in . being a large country, only china style long range HSR could recapture some of these lost footfalls for IR. that would need 100b USD at todays prices for GQ/EWNS full-caliber semi-HSR of 150kmph average. ie cover the 900 km from GAU -> CCU in 6 hours. Train18 and 20, which are more like EMU euro Inter city trains will replace the shatabdi express but these are mostly <= 500km hauls where people are anyway not flying that much as shatabdi/bus/car save time. due to lack of money we missed the semi HSR bus from 2000 onwards when china started the well funded "great leap"
now events have overtaken the pace at which IR can be funded with new infra. IR's huge labour and contractor lobbies wont like it, but the sheer population is such that long trains will continue to run very full. Murica is a bad example to wish for. High asset turn/ getting more juice out of assets, since transportation is very low margin business only way to be profitable is high asset turn and operational efficiency. Almost all the Airlines have dedicated analytics team (Indigo has one of the best analytics in India) just to get this right, during off peak time they connect to a small tier II city at cost price to drive traffic to hub instead of keeping the flight idle. With more EMUs in service, the loco reversals will be thing of the past and can connect to branch lines easily, also the hotel load issue which is persistent for decades can be tackled and at least 2 EOG's removed adding 10% capacity. Along with reforming the station layouts in major stations, adding loop line to remove the slowdown while crossing the halt stations will improve the punctuality and running time greatly. Each and every small improvements add up greatly in a transportation network. The below report gives lot of ideas. In the above report from UK, the passenger income is close to £20bn and freight income is <£1bn during 2016-17 which have branch line network similar to us and bias to more North/South rail connection due to reverse Peninsular geography similar to Indian Peninsula . The ratio 20:1 is far high and shows the potential of passenger income , even with modest investments and the improvements mentioned above we can achieve a quality rail transportation for our people. The Key is modernisation and operational efficiency, not just replacing the worn out infrastructure with the same old. The above ideas are not new or niche, this is been in use for last 20+ years and is almost commoditised worldwide thanks to China, so no exorbitant pricing from few players, also there is very good inclination for Make in India from the rail makers(Siemens, Bombardier, Hyundai Rotem, Alstom and our own TATA steel) from abroad. I think the idea runs into submerged shoals right there. IR is the largest employer and a political patronage machine for all regimes due to its massive opex and contracts. the political class will not let go of IR - ever. Then there is high chance IR might go BSNL, DoorDharshan, Air India way slowly, all were some kind of national network of yesteryears. Since rail is high capital intensive industry no government can afford to hold its losses perennially and invest on top of it. It will goes into vicious circle and the service will diminish very fast than we presume. Singha wrote: being a large country, only china style long range HSR could recapture some of these lost footfalls for IR. that would need 100b USD at todays prices for GQ/EWNS full-caliber semi-HSR of 150kmph average. ie cover the 900 km from GAU -> CCU in 6 hours. You're right about IR having lost out due to lack of investment in semi-HSR early. However, even 150km/h average speed is a very fast train. Even the fastest train on the legendary Tokaido Shinkansen route (Tokyo-Osaka, the world's first line) - the Nozomi service - does 515km in just under 2.5hrs with stops, for an average speed of <210km/h, despite the long Yokohama-Nagoya section where it runs at 275km/h continuously for over an hour. Therefore to get a 150km/h average speed you either need very few stops with ~200km/h running speeds , or an even higher running speed with more stops. DEL went from 57M to 66M in one year. LHR went from 57M to its current 78M in almost quarter of a century; DEL might jump from 57M to 78M in 2-2.5 years. euro hubs are maxed out and unable to expand due to laws , protests and land. murican hubs are vast in people but low on style. all the charm of a manufacturing shed. our real competition in size & style is east asia and dubai. DEL is already on par with the monstrous Dallas Fort Worth (DFW) in passenger traffic, and will catch up with two other biggies - Chicago O'Hare (ORD) and Los Angeles LAX by 2020-21 probably. In terms of style yes, DEL and BOM are way better than any US hub. We transited BOM (international as well as domestic) last winter. SHQ has been through the old Sahar a decade ago, and was stunned asking "where's the old airport ?". I told her "it's underneath, they built this right on top, while the whole thing was still operating". Suraj wrote: DEL is already on par with the monstrous Dallas Fort Worth (DFW) in passenger traffic, and will catch up with two other biggies - Chicago O'Hare (ORD) and Los Angeles LAX by 2020-21 probably. In terms of style yes, DEL and BOM are way better than any US hub. We transited BOM (international as well as domestic) last winter. SHQ has been through the old Sahar a decade ago, and was stunned asking "where's the old airport ?". I told her "it's underneath, they built this right on top, while the whole thing was still operating". Passenger traffic will reach a plateau at some point soon when runway capacity is exceeded. Comparing DEL and BOM to DFW and ORD is a mistake as the latter have eight and seven runways non-intersecting, multiple terminal radars with guidance systems and multiple control towers. DEL has three runways and BOM has two runways intersecting. In terms of aviation infrastructure, both DEL and BOM need more runways for the coming two decades. In terms of style, both DEL and BOM are new and not 40 years old since their last renovation, but then this is personal preference. Some people really like DXB for the shopping in the terminal. One thing you want to look for is a hotel in the terminal area which DFW and ORD have. One where you can walk or take the airport tram to. BOM will not get a new runway, ever. There is simply no space. They weren't even able to complete the southeast arm of T2. This is how it looks now like someone cut off one leg. They've given up trying to finish this as well. Passenger growth at BOM is lowest among all major airports in India (as per Suraj's post) and it is clear why. No more terminal space, gates, apron space or runways possible. Navi Mumbai airport is the only saviour now. Nachiket, I saw that at BOM. Aren’t those slums EVER going to be resettled to enable that second arm to be built out ? Such a pity for an otherwise quite spectacular shakinaw airport that is BOM T2 . The runway situation is true . Until NMIA comes into service, BOM will keep extending it’s current world record for most flights served by an airport with one runway . Just another story of making things happen to incredible extents, with limited resources on our part . Air India Business Class Review. Are they really TERRIBLE? Mort Walker wrote: In terms of style, both DEL and BOM are new and not 40 years old since their last renovation, but then this is personal preference. Some people really like DXB for the shopping in the terminal. One thing you want to look for is a hotel in the terminal area which DFW and ORD have. One where you can walk or take the airport tram to. Recently travelled through Mumbai International, Ahmedabad Domestic, B'glore Domestic, Mysore, Chennai (Domestic/International). Of course also via Dubai and Singapore international. Mumbai international has a very good hotel right in the airport charging by an hour. Excellent place. 1000x better than Doob-ai and 2x better than S'gpore. Yes, I stayed there. I know the ins/out. One just has to walk over there. Issue with Mumbai is very heavy traffic. And even Navi mumbai will not be able to "save" Mumbai, it is just going to be overloaded again - since Indian economy will grow to $8T/$10T within 10-12 years. And NMIC itself will start getting 40-50 M visitors in a decade. Not surprisingly, by 2030 - Mumbai-CS/NMIC will end up having 100 million visitors per year between them and with HSR at BKC and metros from CS/NMIC to BKC, the complete interconnection will only help. On a different not, just because the airport is "new" does not mean the old airports cannot renovate over 40 years. Have been through DFW/ORD/LAX. Their style is dated. SFO is better. DFW/ORD/LAX need a serious upgrade. PS: Of course for all the great work done at Mum/CSI airport to make it world class, the pan-chewing car drivers more than balance it out once you step in the parking garage. Last edited by Suraj on 30 Jul 2018 03:43, edited 1 time in total. Reason: This thread is not for comparing US airports. Three banks and two aircraft leasing firms have served default notices on Air India over the last few weeks, the Business Standard newspaper reported on Monday, raising concerns about the government-owned carrier's state of finances and credit-worthiness. San Francisco, United States-based Wells Fargo Trust Services and UAE's state-owned Dubai Aerospace Enterprise (DAE) have sent letters of demand for pending rental payments, the newspaper said, citing sources. DAE declined to comment on the report. Air India was not immediately available to comment, while Wells Fargo could not be reached outside usual US business hours. Three lenders from a 22-bank consortium have also written to Air India raising concerns that the company is turning into a non-performing asset, Business Standard said. The three banks are Standard Chartered Bank, Dena Bank and Bank of India. A Standard Chartered spokesman in India declined to comment. Bank of India and Dena Bank did not immediately respond to requests for comments. Last month, the government shelved a plan to sell a 76 per cent stake in Air India due to lack of interest from bidders, in the latest setback in its ambitious efforts to rescue the ailing airline. how does AI continue to run losses in such a booming domestic aviation sector? they also have reciprocal rights to pretty much all important indic nodes with prime slots that were allocated decades ago into crowded eu/us/east asian airports but unable to use them all. Weren't the profitable routes were abdicated to other phoren companies in international routes? Also, within India, the prices are extraordinarily high compared to other airlines. No. Don't know where you got that idea. It is being built precisely because BOM has no scope for passenger/flight growth while the demand is going to continue to grow like crazy. They've included parallel runways in the plan from the outset although it will initially become operational with only one runway. NMIA can become larger and busier than BOM itself in the future IF and that's a big if, they handle the connectivity problems correctly.